Finavia’s northernmost airports form a network of six modern, year-round open and tourism-friendly access points to one of Europe’s most unique destinations at the Arctic Circle – Lapland. 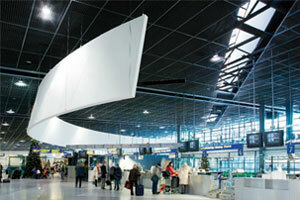 The six airports form a unified business and marketing concept – Lapland Airports. With a dense airport network we can promise: The North is Near. Lapland region and Finavia are committed to creating incentives and marketing programmes to increase international passenger volumes to Lapland Airports (Ivalo, Enontekiö, Kittilä, Rovaniemi, Kuusamo and Kemi-Tornio). There are no regular direct flights, scheduled or charter, to Lapland from Germany. The existing demand is 28,000 indirect passengers. 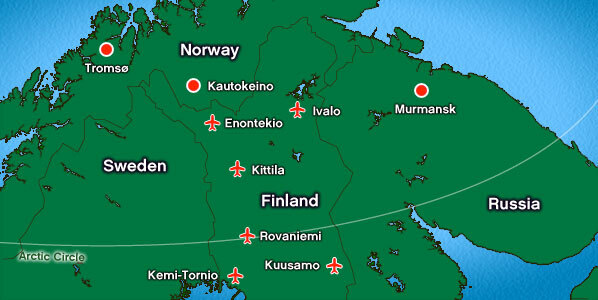 The main airports for German passengers are Kittilä and Rovaniemi. A substantial growth potential exists between tour operators and airlines in this market. 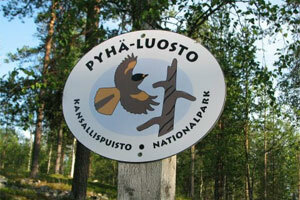 Ivalo and Kuusamo provide a good potential for wildlife and nature holiday seekers. Almost 45% of Lapland’s international passengers currently come from the UK. The charter market is mature, but currently heavily affected by the economic downturn. The UK market has a well established Christmas/Santa Claus product bringing an annual 100,000-150,000 passengers to Lapland in December with growth potential to prolong the travel season from December to November-March. 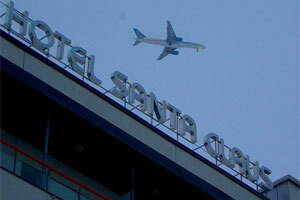 Scheduled flights are in demand to satisfy tour operator demand for part-charters and seat-only products. 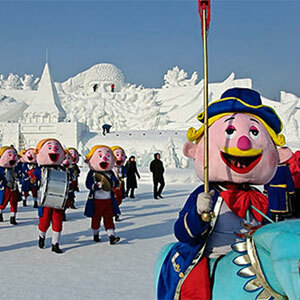 France is the second-largest international market for Lapland. 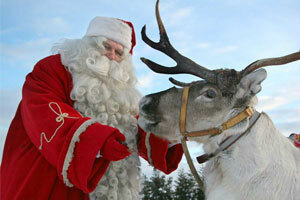 The charter market provides seats for 60% of the total 37,000 passengers arriving to Lapland. Main airports served are Rovaniemi, Ivalo and Enontekiö. Establishing new tour operator sales in France would grow the total market. Russian tourists are the single largest market visiting Finland and Lapland, including a total of 20,000 passengers arrive to Lapland from Russia. New services from Russian scheduled and charter airlines would provide a strong alternative for the passengers arriving by train or car. The flight time from Moscow is only 1 hour – connecting the Moscow catchment to Lapland. 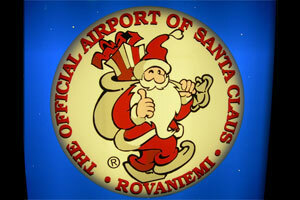 Around 60% of passengers arrive to Lapland via Helsinki (from a total of around 21,000). The growth of the direct charters has been given a boost to the market with TUI, Voigt Travel and Buroscandinavia giving Lapland a strong visibility in the Dutch market. Rovaniemi, Kittilä and Kuusamo are the main airports served. Around 65% of Spanish passengers arrive with scheduled service via Helsinki (from a total of around 21,000 Lapland visitors). Spain holds a potential in existing and new tour operators requiring suitable air services to grow their business. The main airports served are Rovaniemi, Ivalo and Kittilä. Surprisingly, Japan makes it into the top10 international visitor chart with an annual 12,000 Japanese tourists arriving in Lapland via Helsinki, according to MIDT. The growth potential in this market is very high. 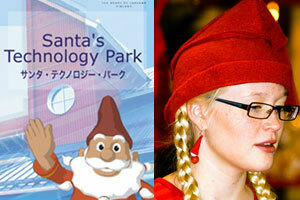 Good elf: Serious jobs have been created by the Santa industry and recently efforts have also been made to export this very special expertise – Rovaniemi's Santa's Technology Park is a serious attempt to create a leading European centre for the experience industry. More traditionally, the nearby Pyhä-Luosto resort offers good downhill and cross country skiing, the Pyhä-Luosto husky and reindeer park, and many other year-round country pursuits. 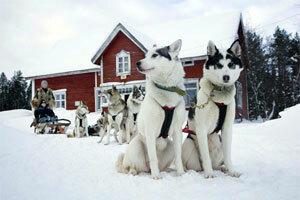 Rovaniemi is the capital of Finnish Lapland and the home town of Santa Claus, located at the northern Arctic Circle. Lying at the junction of north and south on the border to the Arctic, Rovaniemi has become a modern town, full of life with its own unique characteristics. The changing seasons, each having its own type of daylight, temperature and natural phenomena, offer excellent settings for a whole variety of activities. 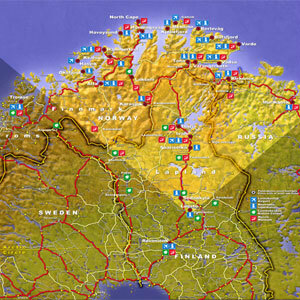 The airport is located only 10 km from Rovaniemi city centre. Meanwhile - who said you couldn't do anything more with reindeer? 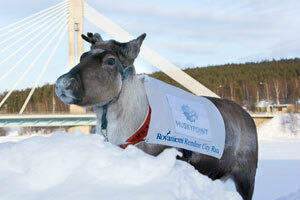 The annual reindeer race in March through the city's streets has become a passionate attraction. Please check our promotion policy. Snow men, show-men. 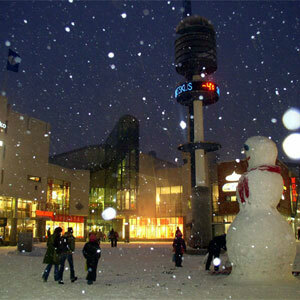 But Rovaniemi is not just Santapark – it is also the Lapland capital and the largest city, offering a population of 60,000. It's only 10 km to downtown. While Rovaniemi is well known for its unique Christmas season business, it also has superb winter sports and indeed year-round sports offers – including downhill cycling and even a 750 metre dry bobsleigh run offering a rapid 110 metre decent at the Ounasvaara sports complex. Rovaniemi Airport is served by taxis and car rental companies. 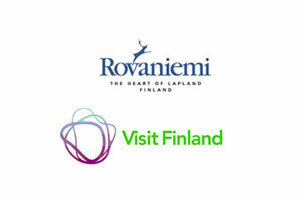 Rovaniemi is the capital of Lapland, and centre of Barents region located in the Arctic Circle. Rovaniemi has modern infrastructure and the distances within the city centre are short and there are absolutely no traffic jams. 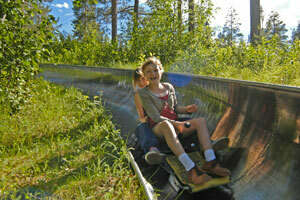 Rovaniemi is a city in the middle of nature and there is wide variety of nature attractions in city surrounding. 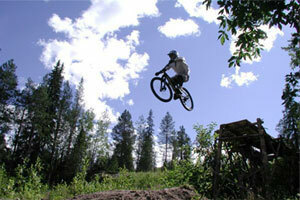 The town itself offers a host of recreational facilities serving both visitors and its citizens on a year-round basis. Ounasvaara is the sport and excercise centre in the heart of town offering not only tourism facilities but also Lapland’s sport institute/sport academy services.